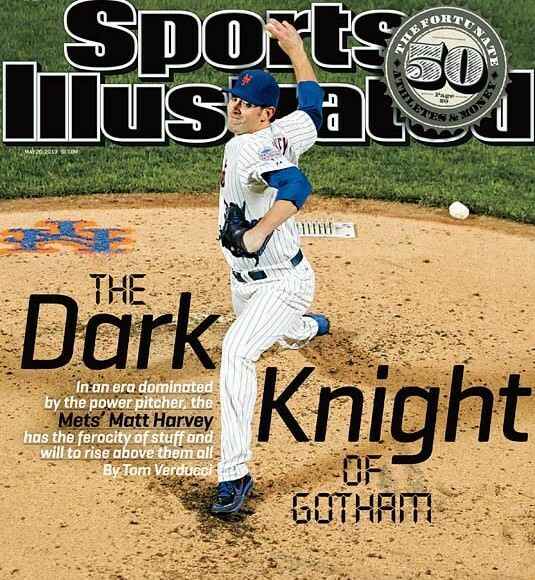 Matt Harvey was dubbed “The Dark Knight of Gotham” by SI’s Tom Verducci because of his sheer power and nastiness on the mound. The name is a fitting one. If his high-90s fastball isn’t scary enough, he’s got a top-to-bottom curveball, power slider, and a changeup that is statistically his best pitch (opponents batting average .122 vs. the change according to Pitch f/x). Not only is his pitching repertoire sinister, he has the gear to match.